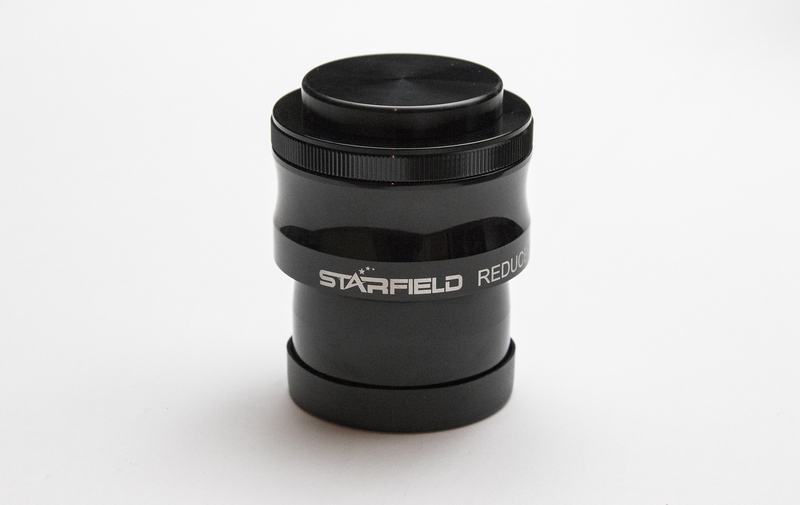 The Starfield 0.8x Reducer doubles as a field flattener. 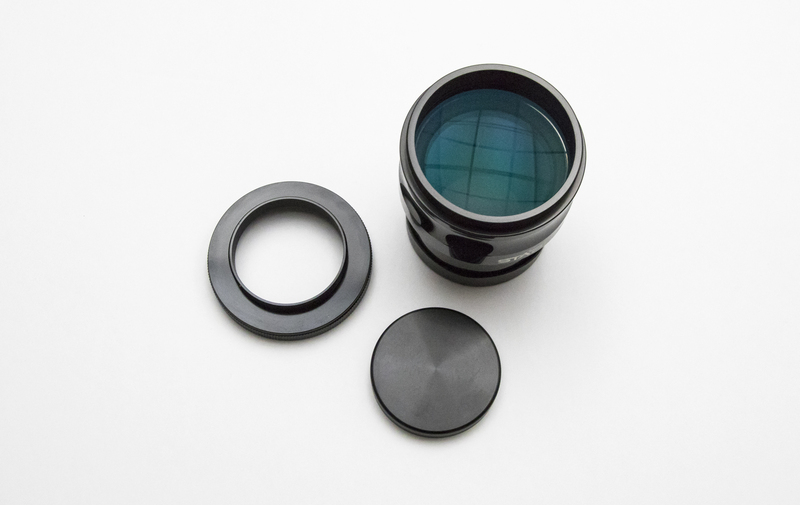 The unique optical accessory is a must for anyone that is imaging with a DSLR or dedicated astronomy camera. 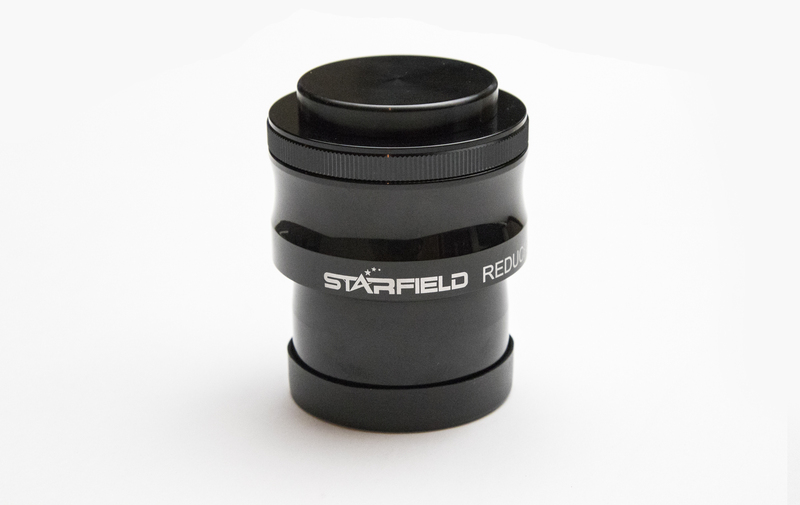 What makes this reducer different over all the others? 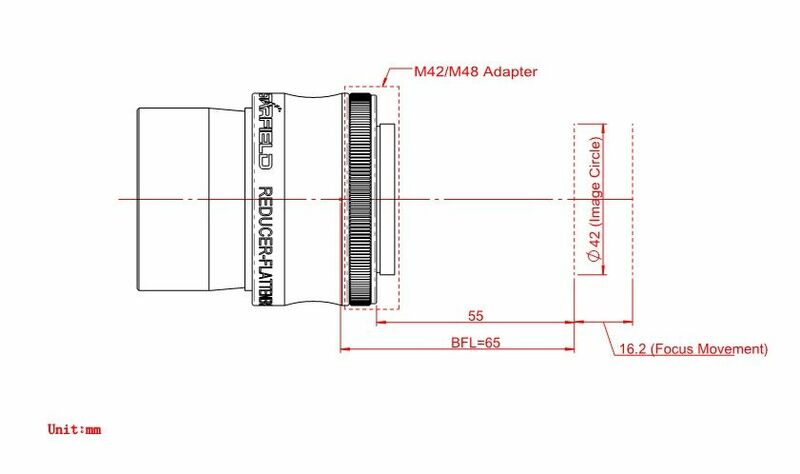 The M42 connection is removable and can be replaced with an optional M48 threaded adapter for Full Frame camera's. 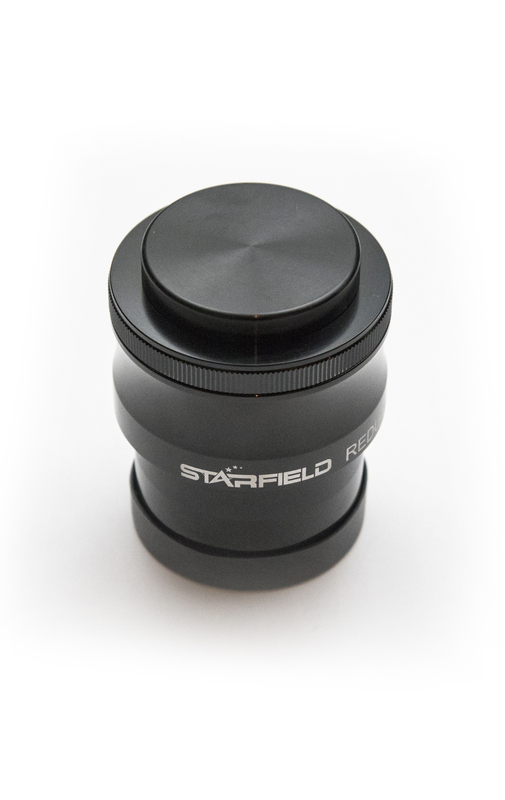 Providing pin point stars across the field of view, the Starfield 0.8x reducer/flattener decrease the focal length of your imaging refractor. Designed to be used with any refractor, f/5.5 and longer, with a 2" focuser, and requires 55mm of back focus. Perfect for any DSLR imager. No additional extension rings are required. 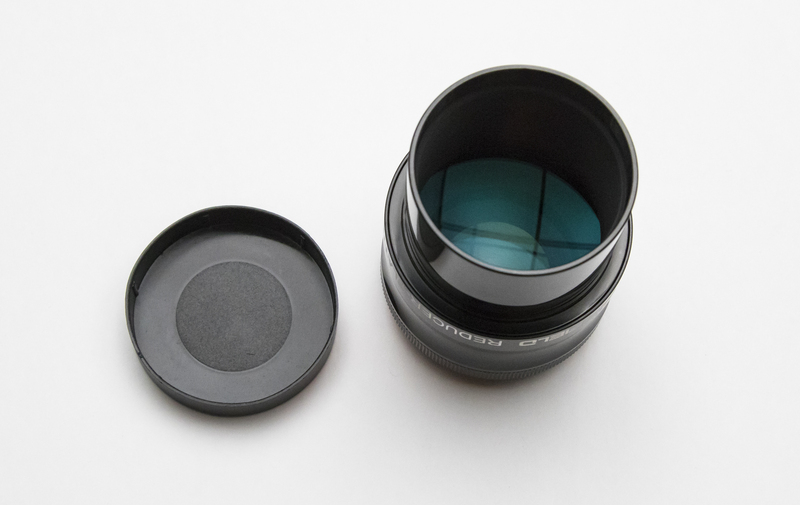 With 38mm's of clear aperture the chance of vignetting is removed, and is well suited for APS-C sized and smaller sensors. 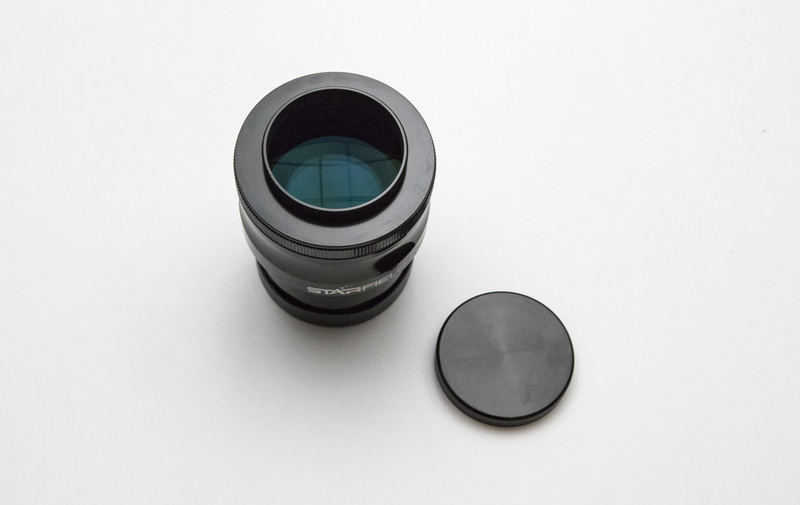 A 42mm clear aperture when the optional 48mm T-Ring adapter is used. Your imaging sessions will benefit with shorter exposure times and a larger field of view. A standard 10mm T-Ring is required.